Coloradans are known to love hiking, being outside and getting into the mountains. Colorado also has ticks, which can cause problems to our health, including Lyme disease. Lyme disease is the most common tick-borne illness in these regions, Lyme disease is transmitted by the bite of an infected black-legged tick, commonly known as a deer tick. You’re more likely to get Lyme disease if you live or spend time in grassy and heavily wooded areas where ticks carrying Lyme disease thrive. It’s important to know the signs and symptoms and take common-sense precautions in tick-infested areas. According to the Mayo Clinic the following signs and symptoms are often common with Lyme disease. 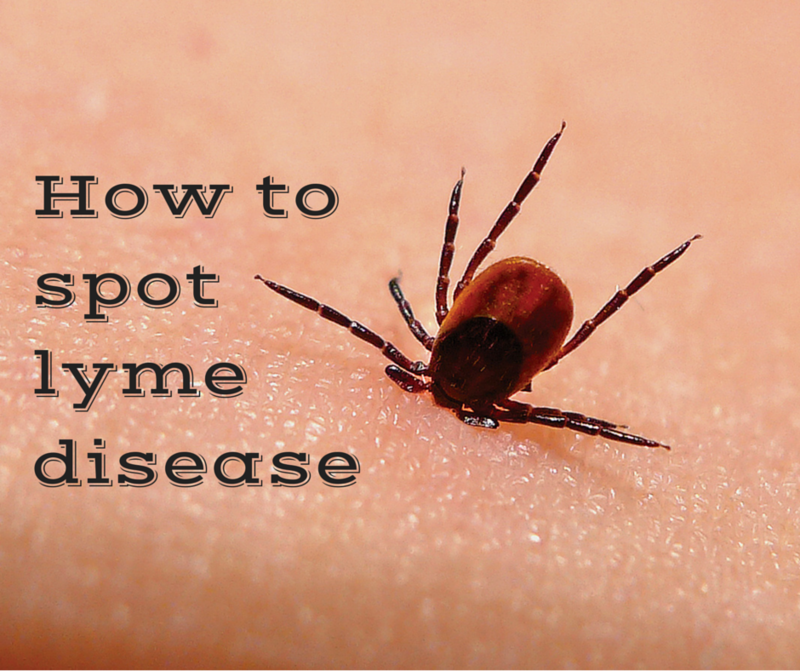 Signs and symptoms of Lyme disease can vary. They usually appear in stages, but the stages can overlap. A small, red bump, similar to the bump of a mosquito bite, often appears at the site of a tick bite, or often the actual tick will be in the place of the bite. A tick removal and red bum often resolves over a few days. This normal occurrence doesn’t indicate Lyme disease. Rash. From three to 30 days after an infected tick bite, an expanding red area might appear that sometimes clears in the center, forming a bull’s-eye pattern. The rash (Erythema migrans) expands slowly over days and can spread to 12 inches (30 centimeters) across. It’s typically not itchy or painful but might feel warm to the touch. Neurological problems. Weeks, months or even years after infection, you might develop inflammation of the membranes surrounding your brain (meningitis), temporary paralysis of one side of your face (Bell’s palsy), numbness or weakness in your limbs, and impaired muscle movement. If you think you’ve been bitten and have signs and symptoms of Lyme disease — particularly if you live in an area where Lyme disease is prevalent — contact your doctor. Treatment for Lyme disease is more effective if begun early. Consult your doctor even if signs and symptoms disappear — the absence of symptoms doesn’t mean the disease is gone. Untreated, Lyme disease can spread to other parts of your body for several months to years after infection, causing arthritis and nervous system problems. Ticks can also transmit other illnesses, such as babesiosis and Colorado tick fever. "Professional, knowledgeable, and courteous. The best health care available."